Hiking is a great way to enjoy the natural beauty of Southern California. There are coastlines, beaches, mountains and canyons that are truly stunning and must be seen to be fully appreciated. One of the best ways to see the beautiful California scenery is to hike. Those who enjoy exploring nature on foot can find a number of hiking trails near Huntington Beach. The hiking trail of Huntington State Beach is both dog and family friendly. The paved, multi-purpose path is 4.1 miles long and stretches from Long Beach to Balboa Pier. The trail is more crowded during the summer months so an off-season visit may offer more tranquility. The trail winds along the coastline and has fire rings available on a first-come, first served basis. The Crystal Cove Red Route is a 5.5-mile hiking trail that takes visitors through Moro Canyon in Crystal Cove State Park. This trail has a moderate level of difficulty and offers fantastic views of the coast from the ridgeline. The trail has no shade, and water is only available at the park’s visitor station. Hikers are advised to carry plenty of water and use sunscreen. Bolsa Chica Ecological Reserve offers hikers the rare opportunity to see a saltwater marsh habitat as well as over 321 species of birds. The trail is located on a hillside so hikers can enjoy views of the coastline, Old Saddleback and, when the sky is clear, the San Gabriel Mountains. The sunsets at Bolsa Chica are reported to be fantastic. The Black Star Canyon Trail is located in Silverado. Hikers will enjoy views of the waterfall along this 6 mile, out and back trail. The Black Star is open throughout the year and dogs are welcome but should be leashed. The trail has a moderate level of difficulty. Talbert Nature Preserve is located in Coast Mesa and consists of nearly 2000 acres of natural beauty and wildlife. Hikers have the choice of 9 trails that are each 6 miles in length. The trails are easy to transverse and are ideal for families with young children or those new to hiking. Aliso Creek Riding and Hiking Trails offer hikers 18.5 miles of paved walkway. The trail begins near the shore and travels uphill for half of its length and downhill for the second half. Hikers can enjoy the rest areas and assorted kiosks along the 18.5-mile trail. Aliso Creek is open from 7:00 am to sunset. Hours are restricted after heavy rains. While hiking is a great way to enjoy the outdoors and get some exercise, having a vehicle is essential in our modern society. Anyone in the market for a new or used car, SUV or crossover should visit the Norm Reeves Honda Huntington Beach for a great deal on a new or pre-owned Honda. 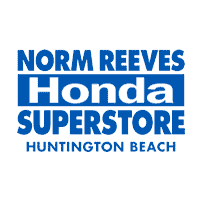 Norm Reeves Honda Huntington Beach will help each customer find the ideal vehicle to fit their lifestyle and budget. Visit their dealership in Huntington Beach for a great deal on your next vehicle.